Hyphen is a beautiful, personal ePub reader for iPad and iPhone. Start on one, finish on the other. 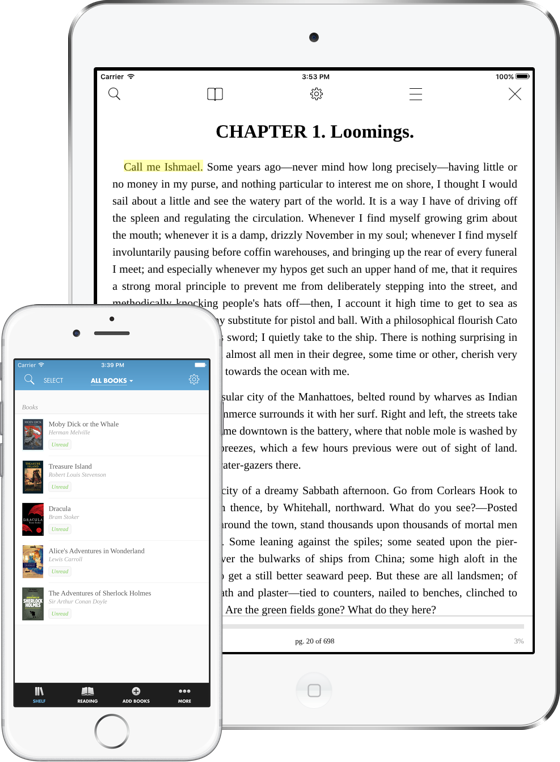 Hyphen uses iCloud to sync your books, reading location, highlights and more. Choose your preferred text size, colors, fonts, and much more. Hyphen makes it a breeze to highlight and comment on important parts of the text.